How much is Jay Leno Worth? Jay Leno Net Worth: How rich is Jay Leno? & How much money is Jay Leno worth? Time to find out! 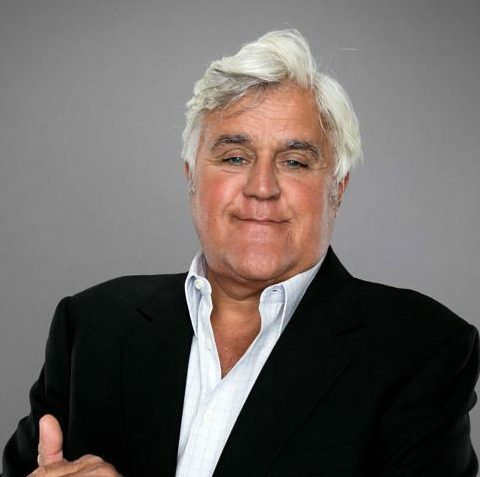 Jay Leno is an American comedian, actor, philanthropist and television host, and his current net worth is $350 million. Born in New Rochelle, New York from a Scottish mother and Italian father. He grew up in Andover, Massachusetts and graduated Andover High School. He got a bachelor’s degree in speech therapy from Emerson College. How did Jay Leno get famous? His first appearance on The Tonight Show on March 2nd 1977 for his comedy rutine led to minor roles in several shows. He held small roles in numerous comedies, but his first starring film, Collision Course, went direct-to-video. From 1987, Jay became a regular substitute for Johnny Carson on The Tonight Show and in 1992 he replaced him as host. Because of this turbulent time of the transition, a book and a movie featured the story. How does Jay Leno make money? He continued his stand-up comedy and in 2008 he said he saved all the money coming from The Tonight Show. After controversy with Conan O’Brien replacing Jay as a host, he returned a year later. During that year, he hosted The Jay Leno Show on NBC. Jay’s last show, before being replaced by Jimmy Fallon, featured guest like Billy Cristal, Jack Black, Kim Kardashian and Oprah Winfrey. During Jay’s tenure with The Tonight Show, the network received great viewership, even after the debacle. The same year of his last show, 2014, the Television Hall of Fame inducted Jay into their roster. Subsequently, Jay continued with his stand-up touring across the country and in 2015 he started hosting Jay Leno’s Garage. His charitable actions include selling his cars, like his Fiat 500, which sold for $385k and the proceedings went to war veterans. Jay’s car collection is estimated at around $50 million. This wraps up our Jay Leno Net Worth profile! Jay Leno Buys the new 2017 Ford GT as the newest Addition to his Garage & Promises a Test Drive Soon! These 10 are the Richest Stand-Up Comedians! How much is Jamie Lee Curtis Worth? How much is Colin Firth Worth?